The title of this drink truly irritates me. I hate it when normal words are spelled incorrectly on purpose to make them “interesting”. For me, it only serves to make a word totally annoying. As if the English language isn’t odd enough, I have to explain to my kids why some marketing “genius” decided to mess things all up even more. Dumb. See? Right there. A silent “b” at the end of a word. What’s that all about? Who decided to keep that as part of English? Whoever it was, congrats. Because that alone is plenty to make our language full of intrigue. Wait, and the silent “w”. Those are just wrong. In addition to being bothered by letters (that makes me sound a little crazy huh? ), I’m also highly suspect of flavored vodkas. You’ll notice (by clicking here) that of all the spunky alcoholic beverages I’ve shared, NONE of them contain flavored vodka. It just seems so limiting to me. You end up with random flavors that never get used. I saw jalapeno vodka the other day. What? I stick with regular un-enhanced boring spirits usually. 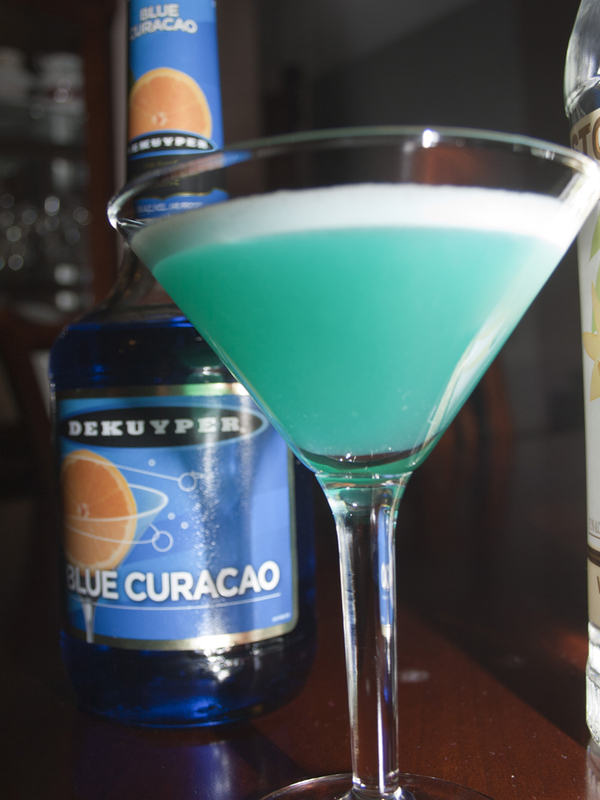 So why am I combining two things I despise in this brilliantly blue beverage? Well, I figure two wrongs make a right. 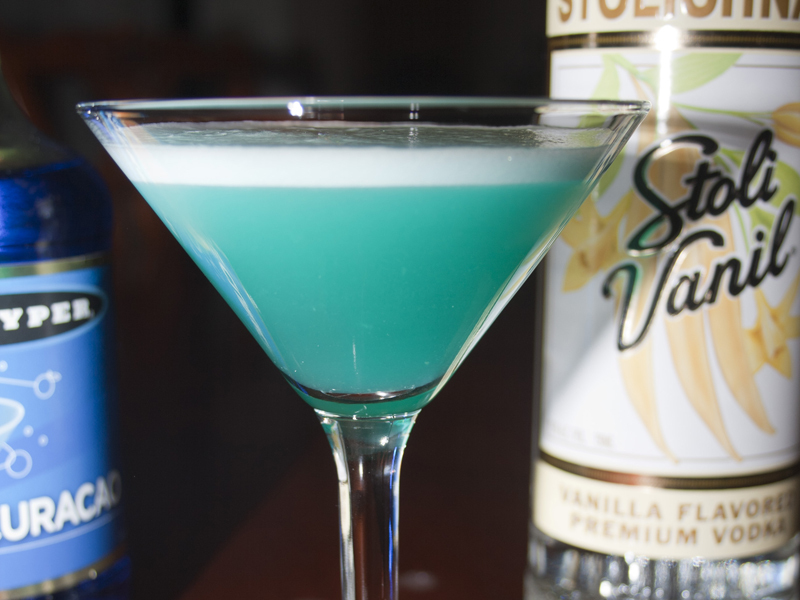 They must, because regardless of the annoying “z” and the vanilla vodka, this delightfully delicious cocktail is most certainly a good thing. My favorite memory of this frothy light cocktail happened a few years ago on the 4th of July. It was the first time I’d experienced the pineapple-y goodness of these drinks. Someone (I’m not saying who) had a few too many and tried to jump over a camping chair. A double camping chair. Tried. Unsuccessfully. You can imagine how hilarious that was.This same someone didn’t remember the failed jump and could not figure out the whole-body ache he/she had the next day. Yeah, that was a great night. Ah, memories. Anyway, after a few of these, don’t try jumping over a chair. Especially not if it’s sitting on pavement. Blue Ballz are delicious, but will not magically turn you into a high-jumper. Combine all ingredients in a shaker over ice. Shake vigorously until chilled and frothy. 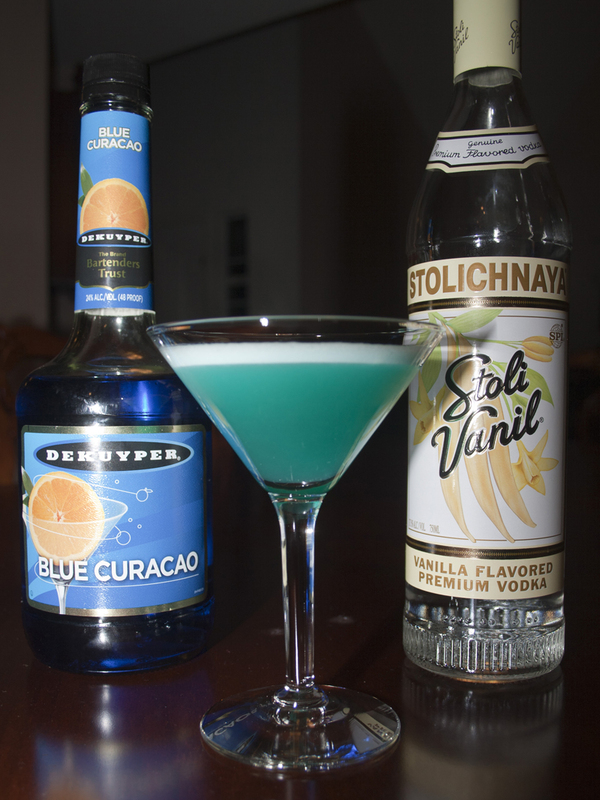 Pour into martini glasses and enjoy!